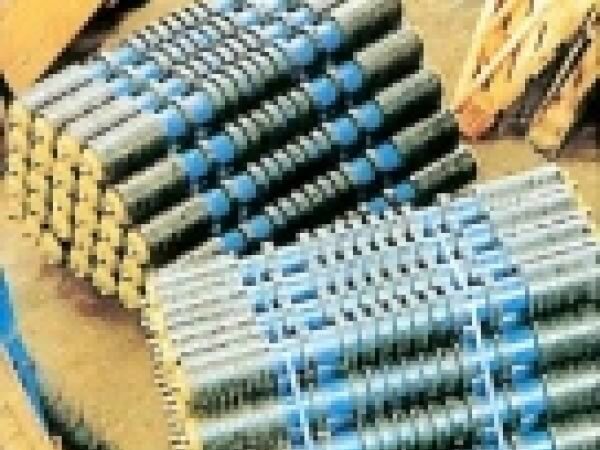 Abbey Disc Return Rollers are used on the return belt and are manufactured from mild steel in 101.6mm diameter, with shaft diameter of 22mm-34mm as required. 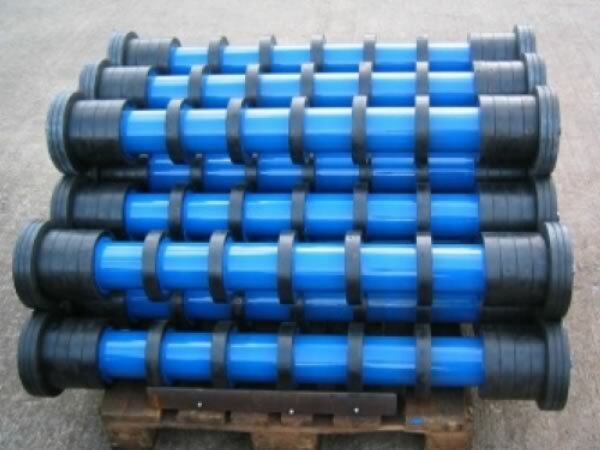 A hard rubber disc of either 152mm or 190mm diameter is then hydraulically fitted over the pipe and held in place securely by retainers welded at each end. 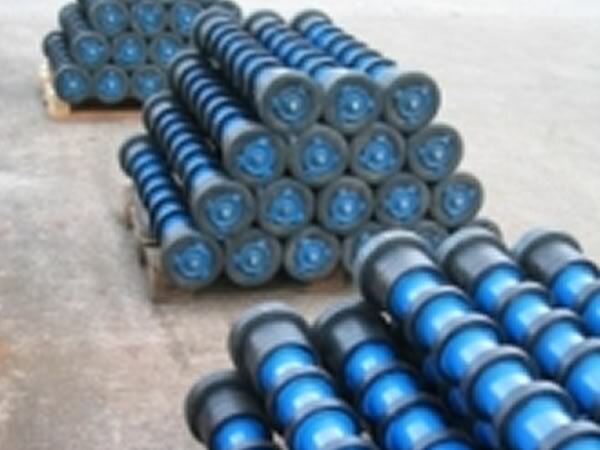 The number of rubber discs varies according to the belt width required. 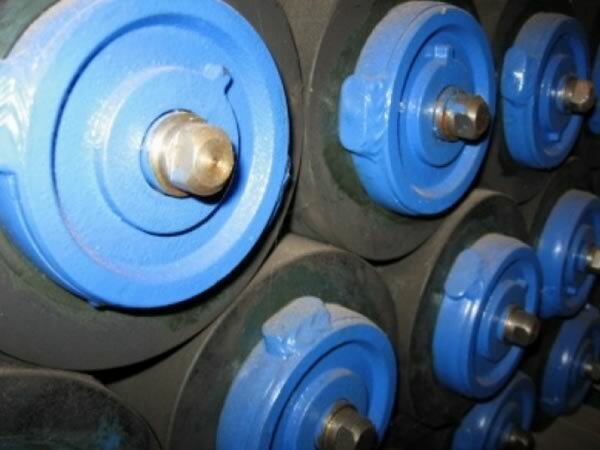 Discs can also be arranged in a pattern according to customer requirements including an option of fitting discs the complete length of the roller. 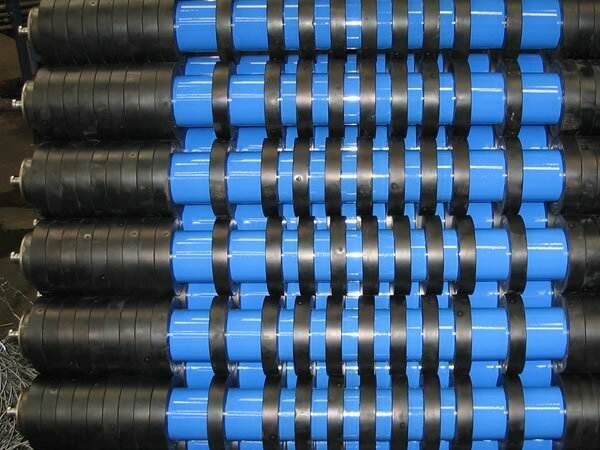 The use of this type of roller prevents the build up of material on the rollers as the gap that exists between the return belt and the distance between the pipe and the top of the disc allows any unwanted spillage to fall away. The use of rubber discs creates a better traction with the belt thus helping to prevent belt wandering. 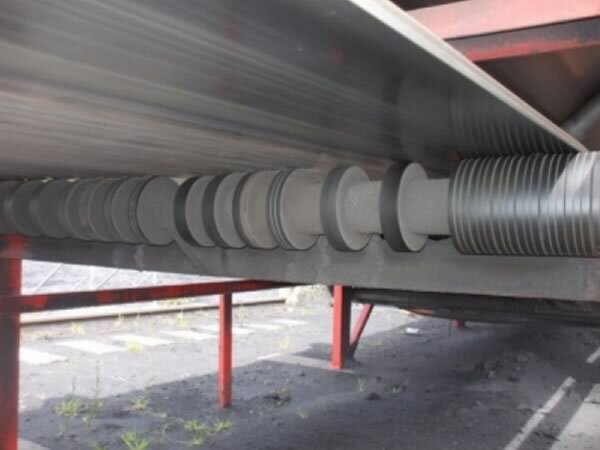 Our disc return rollers are held in place at each end by our keyhole bracket which is bolted to the conveyor frame.